That statement is true with the visibility of your church. If people can’t see it or find it, it’s out of their mind. 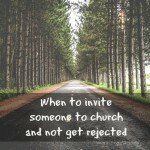 Do people know your church exists or where it is? Read this story of one person knew nothing about the church on the corner. 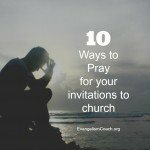 [Read more…] about Do people know where your church is? Our family is visiting a growing church. Since our first time visit in June of 2016, we keep coming back. This gives me the opportunity to watch and look for transferrable reasons for its growth. There is no single cause to the growth of this fellowship that started in a living room in 1984. But like fertile garden soil, nurtured by rain, this church has conditions that produce a harvest of new believers. Though it has outgrown the living room where it started in 1984, but this church has not outgrown its mission to reach people for Christ. 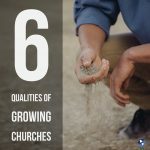 I recently found a 30 year old article by Donald Gerig that describes intangible conditions for growing churches, and all 6 exist in the church we visit. They describe the qualities, climate, atmosphere, or ambiance that is the very DNA of the local church. 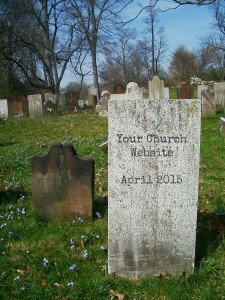 On April 21st, a new update from Google will bury your church website from MOBILE search listings if your website isn’t ready for their new requirements. It won’t matter if you’ve had your domain since the beginning of the Internet age and had a church teenager put a basic website together with iFrames. If your church website is not up to Google’s new mobile-friendly requirements, they will bury it when a user is looking for a church via a mobile device. 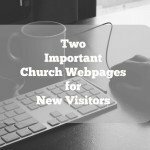 Your potential church visitors will not find your website (nor see these 2 important web pages). 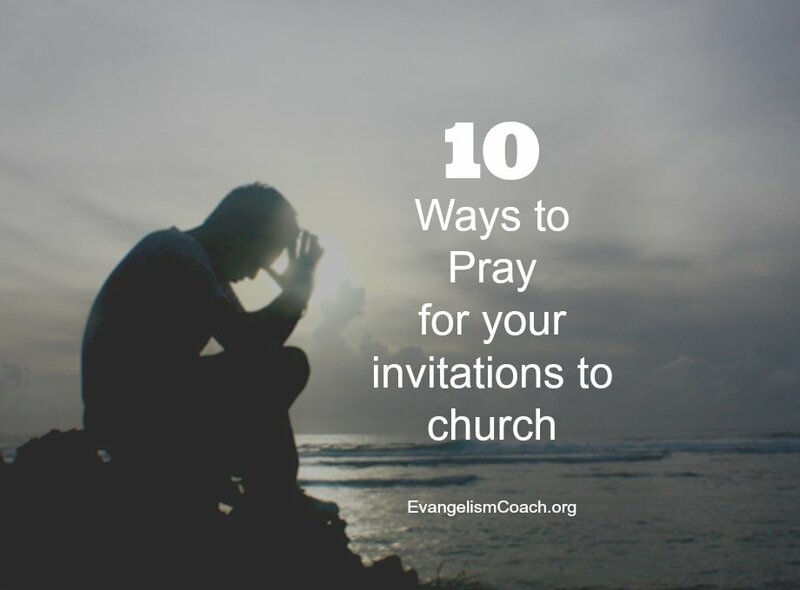 Your potential new members will not locate your church under Churches in your town. 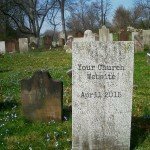 But you can fix your church website so that visitors can find your church from their mobile devices and computers. Is your church website friendly to mobile devices? Can a person use your church website without having to zoom in to tap a link, read the text, or accomplish other simple tasks? Google will start factoring mobile-friendliness into its search ranking algorithm on April 21. Google itself has called the update “significant,” bigger than the Panda or Penguin updates. Websites that are not mobile friendly will be penalized. Google will not drop your church website from it’s search engine. You won’t see your website deleted from their searches. But it will be booted further and further down in the rankings. Being mobile friendly is one of over 200 signals that Google will use to determine where your website will appear in it’s listing. Google decides what mobile friendly looks like. If Google’s automated bots think your website is not mobile friendly, your website will be penalized. In the past, mobile friendliness was a minor criteria. 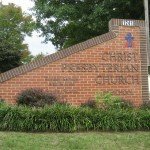 Can my church website be fixed? If you have not started working to make your website mobile-friendly by now, it’s unlikely you will get it done by April 21. But all hope is not lost. Unlike other penalties that took weeks to resolve and remove, Google says the mobile-friendly factor is updated in real-time. That means as soon as your website is mobile-friendly your mobile search rankings will improve. You may not get it done before April 21, but the sooner you start, the sooner you will recover. Even in recent weeks, I’ve seen church websites that are not mobile friendly. The church I visited on Easter Sunday in 2015 is horribly useless and looks like something designed in the early 1990s with frames and awful colors. Depending on the complexity of your website, the fix may take some time. If your website still is not mobile-friendly, don’t freak out. But don’t curl up into a ball or put your head in the sand either. Move forward. Decide as soon as possible whether you’re going to make your current website mobile-friendly or get a new website. Decide as soon as possible who is going do the work. If you’re not sure about these decisions and would like to talk them through, schedule a free call with one of our experts. Tell Paul’s team I sent you. Option 2: If you use a CMS, change your Church Website theme. If you use a CMS like WordPress or Joomla on a self-hosted domain, you can search for a mobile friendly theme. I personally use professional themes for WordPress from the Genesis Framework by StudioPress. All of their themes are mobile friendly. I have personally found that using WordPress to manage the content on my site to be the way to go. A theme change (or new setup) for your mobile friendly website is not that hard. You can change a theme in less than 2 minutes after you find the one you want. Most of the work will be involved in making sure that all your content and sidebars reappear in the new themes. I have had to change a few WordPress themes on some of my other website to make them mobile friendly. It took me a few hours to make sure everything transferred into the new theme that I bought from Genesis. Option 3: Use a Church Website service that does it all for you. Here is one solution to turn your clumsy embarrassing church website into a awesome front porch for your visitors to come and see you before coming to see you. Sure, you could do it free in WordPress or Joomla, but has anyone fixed your church website site in 10 years? Clover Website is one solution to a church website that works. I subscribe to a email list of church administrators and this one has been highly recommended in that list. You can read those recommendations here. We just switched to Clover Church Websites Sites last month. Our Youth Pastor maintains it and loves it. They even have a live person that answers the phone if there are any questions! Definite limitations due to the fact that they’ve designed it for easy use by non-web designers but the benefits, in my opinion, far outweigh the limitations. We haven’t been backed into a corner by any of the limitations. Most have an easy work around. Your church website should not embarrass you. Look into Clover for your church website. This is an affiliate link which will benefit our ministry work in Latin America. Read here if you need to convince your leaders about getting a church website. Note: Links to Ourchurch.com, Studiopress, and Clover.com are affiliate links. Any purchases made through those links will benefit our ministry in Latin America.